Analysis: The suspension was foreshadowed earlier Thursday, when Gordon released a statement on his personal Twitter account suggesting he would take time away from football to address his mental health. It's the fifth ban that Gordon has faced since entering the league in 2012 and the suspension may effectively spell an end to his playing career. Before a return to the NFL is even entertained, Gordon will turn his focus to getting his personal affairs in order. Gordon released a statement Thursday via his personal Twitter account indicating he will be taking some time away from football to tend to his mental health. Gordon brought in one of two targets for 19 yards in the Patriots' 17-10 loss to the Steelers on Sunday. Analysis: After several weeks of solid-to-excellent production, Gordon's numbers sunk to their lowest point since he joined the Patriots in late September. The 27-year-old reception, receiving yardage and target totals were all season worsts, as Gordon came up small at a critical time of season for fantasy owners. His quest to bounce back in Week 16 won't exactly be easy, considering he'll face a stingy Bills secondary. Gordon hauled in five of eight targets for 96 receiving yards during Sunday's 34-33 loss to Miami. Gordon caught all three of his targets for 58 yards and a touchdown during Sunday's 24-10 win over the Vikings. Gordon caught all five of his targets for 70 yards in Sunday's 27-13 win over the Jets. Gordon caught four of 12 targets for 81 yards in Sunday's 34-10 loss to the Titans. Analysis: Gordon and Julian Edelman both topped 80 yards on 12 targets apiece, while the rest of New England's passing game was kept quiet. The trade acquisition is starting to look comfortable with his new team, totaling 353 yards and a touchdown on 17 catches over the past four weeks. Gordon and the Patriots will be on bye in Week 11. Gordon doesn't appear on the Patriots' Week 10 injury report, Zack Cox of NESN.com reports. Analysis: This is notable with Gordon having been playing through a hamstring issue since joining the Patriots in mid-September. His absence from Wednesday's report also confirms that the dislocated finger Gordon dealt with heading into Sunday's 31-17 win over the Packers isn't a concern as a Week 10 matchup with the Titans looms. Now that Gordon has carved out a starting role with the Patriots that yields plenty of snaps and led to 10 targets in Week 9, he carries weekly fantasy appeal. Gordon downplayed the dislocated finger issue he played through in Sunday's 31-17 win over the Packers, Mike Reiss of ESPN.com reports. "I guess it's like a freak accident, nothing too crazy," Gordon said after the game. "One of the slant routes, I think some pressure fell on it and it dislocated, so I popped it back into place a couple of times during the game. It's fine." Analysis: Gordon was on the field for 57 of a possible 71 snaps on offense Sunday en route to hauling in five of his 10 targets for a team-high 130 yards and a TD. Though Gordon's finger injury isn't something that should impact his Week 10 availability, the wideout likely will continue to be listed as a limited practice participant Wednesday due to a hamstring issue that he's been managing since the Patriots traded for him in mid-September. Gordon caught five passes (10 targets) for 130 yards and a touchdown in Sunday's 31-17 win over the Packers. Gordon (hamstring) is listed as active for Sunday night's game against the Packers. Analysis: Now that Gordon has carved out a starting role with the Patriots that entails plenty of snaps, he carries weekly fantasy appeal. Moreover, some big-play opportunities could be on tap for him Sunday night, with a potential offensive shootout in the making and star tight end Rob Gronkowski (back/ankle) inactive. 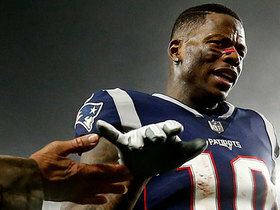 Gordon (hamstring) is among 13 players the Patriots list as questionable for Sunday's game against the Packers, Mike Reiss of ESPN.com reports. Analysis: The Patriots' Week 9 injury report is pretty robust, with two others listed as out on top of the slew of questionable players. Gordon was able to practice all week in a limited fashion but there's nothing to suggest that his Week 9 status is in danger. Now that Gordon has carved out a starting role with plenty of snaps, he carries weekly fantasy appeal, and perhaps even more so Sunday with a potential offensive shootout on tap. Gordon (hamstring) remained limited at practice Thursday, Mike Reiss of ESPN.com reports. Analysis: Despite Gordon's continued listed limitations at practice, there's been nothing to suggest that his availability for Sunday night's game against the Packers is in any danger. The Patriots' robust injury report goes 15-deep this week, so there's a decent chance that Gordon will end up with an official "questionable" injury designation come Friday. Gordon (hamstring) was limited at Wednesday's walk-through practice. Gordon (hamstring) was on the field for 64 of the Patriots' 76 offensive snaps Monday in a 25-6 win over the Bills, finishing with four receptions on six targets for 42 yards. Gordon (hamstring) caught four of six targets for 42 yards in Monday night's 25-6 win over the Bills. Gordon (hamstring) is listed as active for Monday night's game against the Bills. Gordon (hamstring) will be disciplined for tardiness during Monday's game at Buffalo, likely being held off the field for several drives to start the game, Ian Rapoport of NFL Network reports. Gordon (hamstring) is listed as questionable for Monday's game at Buffalo, Doug Kyed of NESN.com reports. Analysis: Gordon was a limited practice participant throughout the week to earn the questionable tag. The 27-year-old's snap share has risen in recent weeks despite the previous hamstring issue, and at this point there are no specifics to suggest his availability for Monday's game is truly in doubt. Gordon (hamstring) was listed as a limited practice participant once again Friday. Gordon (hamstring) was listed as a limited practice participant Thursday. Analysis: Gordon logged 61 of 64 snaps on offense in this past Sunday's 38-31 win over the Bears. With no reported setbacks in that contest, we'll operate under the assumption that the wideout's limitations Thursday were maintenance-related. We fully expect Gordon to be fine for Monday night's game against the Bills and now that his snap counts and familiarity with the offense are rising, he's a weekly fantasy consideration. Gordon played 61 of 64 snaps (95 percent) on offense in Sunday's 38-31 win over the Bears. Gordon (hamstring) pulled in four of seven targets for an even 100 yards in Sunday's 38-31 win over the Bears. Analysis: Gordon almost had a much bigger day, but he narrowly missed getting into the end zone after bouncing off a few tackles on his way to a 55-yard catch in the fourth quarter. The former Browns receiver continues to appear on the injury report with a hamstring injury, but that issue is likely declining in severity with each passing week. Gordon's improving health and growing role in New England's passing game are both reasons for optimism against the Bills in Week 8 and beyond. Gordon (hamstring) is listed as active for Sunday's game against the Bears. Gordon (hamstring), who is listed as questionable for Sunday's game against the Bears, is expected to play in the contest, Ian Rapoport of NFL Network reports. Gordon (hamstring) is listed as questionable for Sunday's game against the Bears. Gordon (hamstring) was a limited participant at Wednesday's practice. Gordon caught five of his team-high nine targets for 42 yards in Sunday's 43-40 win over the Chiefs. Gordon (hamstring) is listed as active for Sunday night's game against the Chiefs. Analysis: Gordon -- who was acquired from the Browns last month -- was active for the Patriots' last two games, en route to logging 18 offensive snaps in each contest. With his comfort with the team's offense growing, the talented wideout's workload could see an uptick in a potential Week 6 shootout, making the 6-foot-3, 225-pounder an intriguing fantasy lineup option in his third outing catching passes from QB Tom Brady. Gordon (hamstring), who is listed as questionable for Sunday's game against the Chiefs, is expected to play, Ian Rapoport of NFL Network reports. Analysis: With no reports of any setback with the hamstring injury he first suffered back in September when he was still a member of the Browns, Gordon never seemed to be in much peril for the Week 6 matchup. Though Gordon seems on track to suit up, it's unclear if an active status would come with an expanded role in the game plan. Gordon has been limited to 18 offensive snaps in both of his appearances with New England, hauling in four of six targets for 82 yards and a touchdown in those contests. Gordon (hamstring) is listed as questionable for Sunday night's game against the Chiefs after practicing in a limited fashion all week. Gordon (hamstring) remained listed as a limited participant at practice Thursday. Analysis: We doubt that there's much concern over Gordon's Week 6 status, but one story line that could impact his fantasy prospects this week is that Chris Hogan (thigh) did not practice Thursday. Hogan's 63 snaps (out of a possible 69) on offense in Week 5 were tops among the Patriots' wideouts, so if he is limited or out Sunday night against the Chiefs, Gordon (18 snaps in Week 5) would likely see an uptick in playing time. Gordon (hamstring) was limited at practice Wednesday, Mike Reiss of ESPN.com reports. Analysis: Gordon has been managing a hamstring issue since he was acquired from the Browns last month, but he suited up for the Patriots' last two games, logging 18 offensive snaps in both contests. It's suspected that his limitations were mostly maintenance-related, so he should be ready to play Sunday against the Chiefs. Gordon (hamstring) brought in two of four targets for 50 yards and a touchdown in the Patriots' 38-24 win over the Colts on Thursday. Gordon (hamstring) is listed as active for Thursday night's game against the Colts. Gordon (hamstring) is listed as questionable for Thursday's game against the Colts. Gordon (hamstring) was a limited participant in Tuesday's walkthrough. The Patriots' estimated practice report Monday lists Gordon (hamstring) as a limited participant, Mike Reiss of ESPN.com reports. 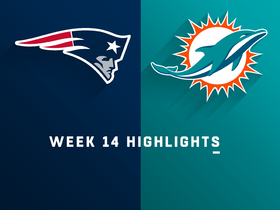 Gordon (hamstring) brought in both of his targets for 32 yards in the Patriots' 38-7 win over the Dolphins on Sunday. Analysis: Gordon didn't have much of a final line to show for it, but he was able to make his highly anticipated Patriots debut and make good on both of the looks he saw over the course of his 18 snaps. The 27-year-old is expected to see his role expand in coming weeks as he gets further acclimated to the offense, and he could see that occur as early as a Week 5 Thursday night matchup against the Colts if Rob Gronkowski (ankle) is sidelined for that contest. Gordon (hamstring) is listed as active for Sunday's game against the Dolphins. 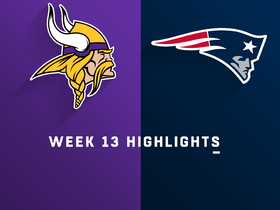 Analysis: Per Jeff Darlington of ESPN.com, Gordon's hamstring issue was the determining factor regarding his Week 4 status, rather than his familiarity with the Patriots offense. As long as the wideout avoids any in-game setbacks, Gordon could make some plays Sunday, but in his debut with New England he profiles as a hit-or-miss fantasy option, given the uncertainly with regard to how extensively he'll be targeted. Gordon (hamstring), who is listed as questionable for Sunday's game against the Dolphins, has a "good chance" to make his Patriots debut, a source told Ian Rapoport of NFL Network. Gordon (hamstring) is listed as questionable for Sunday's game against the Dolphins after logging a limited practice Friday. Head coach Bill Belichick said, "we'll see," when asked Friday morning whether or not Gordon (hamstring) will be ready to play Sunday against the Dolphins, according to Doug Kyed of NESN.com. Analysis: Belichick did not provide any clues regarding Gordon's status for Week 4, but he did at least leave the door open for Gordon to make his New England debut this weekend. The Patriots will provide an official update on Gordon's status after Friday's practice, but a final call on his availability may not come until game day. Gordon (hamstring) was a limited participant at Wednesday's practice, but he did appear to be moving around a bit better than last week, according to Mike Reiss of ESPN.com. Gordon (hamstring) is inactive for Sunday night's game against the Lions. Analysis: The recently-acquired wideout was limited at practice all week, and he's new to the Patriots offense, so it's not a huge surprise that he'll sit out Sunday night's game. 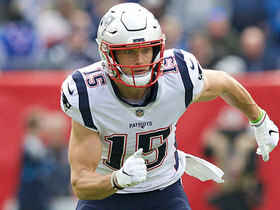 As a result, the team's Week 3 wideout corps will be headed by Chris Hogan and Phillip Dorsett. Gordon (hamstring), who is listed as questionable for Sunday's game against the Lions, isn't guaranteed to play in the contest, sources informed Ian Rapoport of NFL Network. Gordon (hamstring) is listed as questionable for Sunday night's game against the Lions. Analysis: The newly-acquired wideout was limited at practice all week, and he's new to the Patriots offense, so it's hard to predict how much of an impact he might make Sunday night, assuming he suits up. A wait-and-see approach seems prudent Week 3, but beyond that, Gordon carries undeniable rest-of-season fantasy upside. Gordon (hamstring) was listed as a limited participant in Thursday's practice, Mike Reiss of ESPN.com reports. Gordon (hamstring) was limited at Wednesday's practice, Mike Reiss of ESPN.com reports. Gordon (hamstring) was in attendance for practice Wednesday, Mike Reiss of ESPN.com reports. Gordon (hamstring) must take a physical for Monday's trade from Cleveland to New England to be made official, Michael Giardi of NFL Network reports. An MRI on Gordon's hamstring "came out fine," according to Ian Rapoport of NFL Network. The Patriots will send a fifth-round draft pick to the Browns in exchange for Gordon (hamstring), Adam Schefter of ESPN reports. The Patriots are closing in on a trade with the Browns for Gordon (hamstring), Ian Rapoport of NFL Network reports. Analysis: Gordon's likely destination isn't a surprise due to the wideout-deficient nature of the Patriots. Perhaps the only hangup is compensation for the Browns, but he's a good bet to fill in as one of the top three wide receivers in New England while Julian Edelman serves the final two games of his suspension. The Browns are expected to trade Gordon (hamstring) at some point prior to 4 p.m. EDT on Monday, Ian Rapoport of NFL Network reports. Gordon is slated to see a specialist Monday to determine the severity of his hamstring injury, Ian Rapoport of NFL Network reports. Analysis: If his injury is minor, as hoped, the talented but troubled wideout should find a new team before long, either via a trade or release. Once he officially parts way with the Browns, he could resurface on the fantasy radar in the coming weeks in a new locale, but such a scenario hinges in large part on the status of his hamstring. Though the Browns issued a statement Saturday indicating Gordon (hamstring) would be released Monday, league sources believe it's "far more likely" that the wideout will be traded instead, Adam Schefter of ESPN reports. Gordon (hamstring) will be released by the Browns on Monday, Adam Schefter of ESPN reports. Analysis: Gordon's release comes as a shock after the team has stood by the much maligned wideout over the course of his career. When on the field, Gordon has been one of the better fantasy options in the NFL. He pulled in one reception, a 17-yard touchdown, last week against the Steelers. The move makes Jarvis Landry the unquestioned No. 1 in Cleveland and frees up Gordon to sign with another team. The Browns have ruled out Gordon for Sunday's game against the Saints due to a hamstring injury. Analysis: This is a surprising move, as Gordon was a full participant at practice throughout the week and was absent from the Browns' original injury report. He presumably tweaked his hamstring at some point recently, and it's severe enough to keep him sidelined Sunday. He had just jumped ahead of rookie Antonio Callaway on the depth chart prior to this news. His absence should free up Callaway and Rashard Higgins for more more snaps, while Jarvis Landry figures to see another heavy workload. The Browns are listing Gordon as a starting wide receiver on their depth chart ahead of the team's Week 2 matchup with the Saints. Gordon played 69 of 89 snaps on offense in Sunday's 21-21 tie with the Steelers. Analysis: It now appears coach Hue Jackson was just trying to mislead the Steelers when he said Gordon would come off the bench and have his snaps restricted. The 27-year-old wideout got the start and played 77.5 percent of offensive snaps, but he only caught one pass for 17 yards (a game-tying TD) on three targets. Gordon shouldn't have any concerns regarding snap count for Week 2 in New Orleans, and he's a good bet to notice an uptick on Sunday's disappointing target count. Gordon hauled in one of three targets for 17 yards and a touchdown during Sunday's 21-21 tie against the Steelers. Analysis: Gordon was limited to a "pitch count" and was only expected to play around 20 snaps, which explains why his production -- other than his 17-yard touchdown reception -- was low. The dynamic wideout should see an increase in playing time in Week 2 against the Saints and has the potential to be a WR1 if he can stay healthy and avoid off-field trouble. He will, however, have to battle with Jarvis Landry -- who saw 15 passes come his way Sunday -- for targets from Tyrod Taylor. The Browns plan to have Gordon play roughly 20 snaps in Sunday's season opener against the Steelers, Chris Mortensen of ESPN reports. Offensive coordinator Todd Haley believes Gordon (hamstring) will have a significant role in Sunday's game against the Steelers, Pat McManamon of ESPN.com reports. "I hope he's involved a lot," Haley said Friday. Analysis: Gordon got over his hamstring injury in advance of Week 1, but he remains a backup on the Browns' initial depth chart. While he may be on a "pitch count," as coach Hue Jackson told Nate Ulrich of the Akron Beacon Journal on Wednesday, Gordon will be among Tyrod Taylor's top targets Week 1. Expect Gordon to surpass his 8.4 targets per game from his end-of-2017 cameo this season. Gordon (hamstring) practiced in full Friday and doesn't have an injury designation for Sunday's game against the Steelers. Analysis: The Browns have listed Gordon as a second-stringer on their initial depth chart behind rookie Antonio Callaway, likely due to the hamstring issue that has plagued him since he reported to the team on Aug. 25. On Wednesday, coach Hue Jackson confirmed that Gordon will be on a "pitch count," per Nate Ulrich of the Akron Beacon Journal, so it's unclear how much he'll actually be able to contribute off the bat. Browns head coach Hue Jackson reiterated Wednesday that Gordon (hamstring) will be on a "pitch count" in Sunday's game against the Steelers, Nate Ulrich of the Akron Beacon Journal reports. Gordon (hamstring) relayed Wednesday that he feels 100 percent healthy and believes that he could have a meaningful role Sunday against the Steelers, even though he won't start the contest, Nate Ulrich of the Akron Beacon Journal reports. Analysis: The team's depth chart reflects head coach Hue Jackson's plans to start rookie Antonio Callaway over Gordon in Week 1, but there's no reason to believe that Gordon won't quickly and officially reclaim a first-team role once the Browns move past their season opener. For DFS purposes, Gordon is a hit-or-miss option this week, but in general -- when on the field and focused -- the 27-year-old's talents and upside are undeniable. Coach Hue Jackson relayed that Gordon (hamstring) should be able to play against the Steelers on Sunday, Nate Ulrich of the Akron Beacon Journal reports. Analysis: Supporting that notion is that Gordon was on the practice field Monday. Meanwhile, Jackson reiterated that Antonio Callaway is in line to draw a start at wideout for the Browns on Sunday, even if Gordon is on hand. That's not to say that Gordon won't be part of the team's Week 1 game plan, but it appears as though the talented wideout could be eased into the mix in the wake of his hamstring issue. Gordon (hamstring) practiced Monday, Mary Kay Cabot of the Cleveland Plain-Dealer reports. Coach Hue Jackson said Friday that Gordon (hamstring) will practice Monday but won't quite be a full participant, Scott Petrak of the Elyria Chronicle-Telegram reports. Though Gordon (hamstring) traveled with the team, he won't play in Thursday's preseason finale against the Lions, Mary Kay Cabot of The Cleveland Plain Dealer reports. Analysis: It's no surprise that the Browns decided not to risk any setbacks with Gordon's hamstring Thursday, but the wideout does expect to be a go for the team's regular-season opener against the Steelers. Coach Hue Jackson has indicated that Gordon won't be part of the Browns' Week 1 starting lineup, even if he's 100 percent healthy, but once he's deemed up to speed, the 27-year-old is destined to form a talented 1-2 pass-catching punch with Jarvis Landry. Gordon (hamstring) is working off to the side with the training staff at Tuesday's practice, Mary Kay Cabot of The Cleveland Plain Dealer reports. Coach Hue Jackson said Gordon (hamstring) won't be a Week 1 starter even if he's 100 percent healthy, Mary Kay Cabot of The Cleveland Plain Dealer reports. Gordon (hamstring) is working on the side with trainers at Monday's practice, Scott Petrak of the Elyria Chronicle-Telegram reports. Analysis: Gordon was activated from the non-football injury list Saturday and cleared to resume all activities, but tightness in his hamstring has prevented him from actually practicing. Coach Hue Jackson expects that to change soon, with no indication of Gordon's hamstring injury being serious. The 27-year-old likely will be held out of Thursday's preseason finale against the Lions, eyeing Week 1 against the Steelers for his first appearance in a game this year. Coach Hue Jackson said Gordon (hamstring) is "very close" to being able to practice, Andrew Gribble of the Browns' official site reports. Coach Hue Jackson said Gordon (hamstring) "more than likely" won't suit up for Thursday's preseason contest at Detroit. "He'll be back out there sooner than later, that's for sure," Jackson added. Analysis: Activated from the non-football injury list Saturday, Gordon recently tweaked his hamstring while ramping up his workload. With an eye on Week 1 against the Steelers, Jackson will exercise caution with Gordon, likely holding him out Thursday if the hamstring is still barking. Once healthy, Gordon will join a revamped receiving corps alongside Jarvis Landry and 2018 fourth-round pick Antonio Callaway. Gordon didn't practice Saturday due to a tight hamstring, Nate Ulrich of the Akron Beacon Journal reports. Analysis: The Browns made the long-awaited transaction to activate Gordon from the non-football injury list Saturday, only for the wideout to tweak his hamstring while ramping up his conditioning. He may need to log a full practice in order to take the field for Thursday's preseason finale in Detroit, in essence to make sure he enters the regular season with good health. Gordon has been activated from the non-football injury list and will return to practice Saturday, Mary Kay Cabot of The Cleveland Plain Dealer reports. Analysis: Gordon took a step forward Friday and now has clearance to participate in all team activities. The 27-year-old wideout will join the team's walkthrough Saturday, with eyes toward an appearance in Thursday's preseason finale against the Lions. Gordon should have plenty of time to gear up for Week 1 against the Steelers, joining a Cleveland offense that has far more skill-position talent than in past seasons. Gordon (personal) is entering the next phase of his return process, Scott Petrak of the Elyria Chronicle-Telegram reports. Analysis: Though he didn't provide all the details, coach Hue Jackson did mention that Gordon will be involved in on-field walkthroughs -- something that previously hadn't been allowed. The 27-year-old has been sitting in on meetings and watching practice since he rejoined the Browns last weekend, but he hasn't actually been able to step on the field with teammates. Gordon seems to be on the right track for full clearance by Week 1, with more updates sure to come through in the next few days. Coach Hue Jackson noted Tuesday that Gordon (personal) will practice "very soon," Mary Kay Cabot of The Cleveland Plain Dealer reports. Coach Hue Jackson said he wouldn't be opposed to playing Gordon (personal) in the final preseason game, Nate Ulrich of The Akron Beacon Journal reports. Gordon (personal) won't participate in Thursday's game against the Eagles, Nate Ulrich of the Akron Beacon Journal reports. Gordon (personal/NFI) watched Sunday's practice from the sideline and "will gradually resume all football activities as deemed appropriate," according to general manager John Dorsey, Patrick Maks of the team's official site reports. Gordon (personal/NFI) probably won't be ready for Thursday's preseason game against the Eagles, but Mary Kay Cabot of the Cleveland Plain-Dealer believes the wideout will be ready for Week 1. Gordon has been placed on the Browns' active/non-football illness list. Analysis: Gordon has returned to the team from a personal absence, but at this stage he doesn't have clearance from the NFL to practice with his teammates or play in games. There's not yet a timetable in place for that to change, but this represents the next step in the wideout's planned return to action. Gordon (personal) rejoined the Browns on Saturday, but he doesn't have clearance from the NFL to practice with his teammates or play in games, Tom Pelissero of NFL.com reports. Gordon announced he's returning to Browns, Adam Schefter of ESPN reports. "Thank you for your love, support, and most importantly your patience as I took the time needed to ensure my overall mental and physical health," he said in a statement. Analysis: It's not clear when he'll return to practice or if he'll be far behind in conditioning, but it looks like he'll be part of the team's plans this season. The Browns continue to expect Gordon (personal) to return to the team, the Cleveland Plain-Dealer reports. Browns general manager John Dorsey said Thursday that he still doesn't have a timetable for Gordon (personal) to rejoin the team, Nate Ulrich of the Akron Beacon Journal reports. Gordon (personal) isn't scheduled to rejoin the Browns before Tuesday, the deadline to be eligible for an accrued season in 2018, Mary Kay Cabot of the Cleveland Plain Dealer reports. GM John Dorsey told 92.3 The Fan on Saturday that Gordon (personal) will return to the team this season. Analysis: Just over a week ago, Dorsey said that he had no idea when Gordon will report to the Browns, but he now seems to have much more confidence in the wideout. Dorsey and fellow wide receiver Rashard Higgins both acknowledged how Gordon is handling his business off the field and that his return to the team will come when he is ready. Gordon is currently on Cleveland's "did not report" list. GM John Dorsey acknowledged Wednesday that he has no idea when Gordon -- who is on the Browns' "did not report'' list -- will return to the field, Mary Kay Cabot of the Cleveland Plain-Dealer reports. The Browns will place Gordon (personal) on the "did not report" list, rather than the Non-Football Injury list, Mary Kay Cabot of The Cleveland Plain Dealer reports. Gordon (personal) will be placed on the non-football injury list, Ian Rapoport of NFL Network reports. "We will continue to support Josh as he receives the care needed to maintain his progress," said Browns general manager John Dorsey on Monday. "We are going to respect his privacy while he is away from the team. Josh will be placed on the (NFI) reserve list until he is ready to return." Gordon tweeted Monday that he won't be in Cleveland for the start of training camp. Analysis: The 27-year-old wideout said the upcoming absence is part of his "overall health and treatment plan," and he also made sure to note that he's doing well both physically and mentally. While he didn't give a specific date for his return to the team, Gordon said he has every intention of being available soon. Regardless, it's understandable for prospective fantasy owners to be somewhat wary of the situation given Gordon's lengthy history of suspensions. Gordon signed his $790,000 exclusive rights free agent tender Monday, Mary Kay Cabot of the Cleveland Plain Dealer reports. The Browns extended a $790,000 tender to Gordon, an exclusive rights free agent, Mary Kay Cabot of Cleveland.com reports. Gordon will be an exclusive rights free agent rather than a restricted free agent this offseason, Dan Graziano of ESPN.com reports. Gordon caught four of seven targets for 115 yards during Sunday's 28-24 loss to the Steelers. Gordon brought in two of eight targets for 19 yards in Sunday's 20-3 loss to the Bears. Gordon finished with five catches (11 targets) for a team-high 47 yards during Sunday's 27-10 loss to the Ravens. Gordon caught three of six targets for 69 yards and a touchdown in Sunday's 27-21 overtime loss to the Packers. Gordon hauled in four of 11 targets for a team-high 85 yards during Sunday's 19-10 loss to the Chargers. Browns head coach Hue Jackson has a "load of plays" set up for Gordon, who will return from suspension to make his season debut Sunday against the Chargers, a source informed Adam Schefter of ESPN. 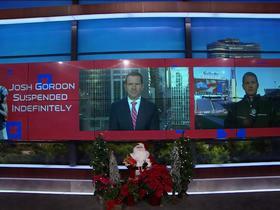 Gordon (suspension), who was reinstated from the Reserve/Commissioner's Exempt list Thursday, will start and "play a lot" Sunday against the Chargers, Ian Rapoport of NFL Network reports. The Browns reinstated Gordon (suspension) from the Reserve/Commissioner Exempt list Thursday. Gordon (suspension), who is in line to be activated from the Reserve/Commissioner Exempt list in advance of Sunday's game against the Chargers, is slated to start at wideout for the Browns, Andrew Gribble of the team's official site reports. Analysis: Gordon's upside is undeniable, but the talented wideout hasn't suited up for an NFL contest since Dec. 21, 2014 and joins the offense of an 0-11 team helmed by a rookie quarterback in DeShone Kizer. It's a context that makes the 26-year-old's statistical floor in Week 13 difficult to project, but should Gordon click with Kizer, he could be a fantasy factor down the stretch. This week, however, he's a speculative play, albeit a very intriguing one. Browns head coach Hue Jackson said Gordon will play "as much as possible" when the wide receiver returns from suspension for Sunday's game against the Chargers, Patrick Maks of the Browns' official site reports. The Browns likely will wait until Friday to activate Gordon (suspension) from the Reserve/Commissioner Exempt list for Sunday's game against the Chargers, Mary Kay Cabot of Cleveland.com reports. The Browns plan to activate Gordon (suspension) from the Reserve/Commissioner Exempt list when he's first eligible to return ahead of the team's Week 13 game against the Chargers, Ian Rapoport of NFL Network reports. Gordon (suspension) looked good at Wednesday's practice and still has the support of Browns head coach Hue Jackson, Mary Kay Cabot of Cleveland.com reports. "It's like Christmas,'' Jackson said of Gordon's return to the Browns. "I get to open a new toy. I know what's in that box, but I just want to see how good it is. It's exciting that he'll be back out there." Gordon (suspension) worked out with the Browns' quarterbacks Monday and will take part in the team's first official practice of the week Wednesday. Browns head coach Hue Jackson said Gordon (suspension) is expected to resume practicing when first eligible Nov. 20, Nate Ulrich of the Akron Beacon Journal reports. Gordon (suspension) is scheduled to report to the Browns' team facility Tuesday, Adam Schefter of ESPN reports. The Browns are hopeful that Gordon will be ready to play when first eligible Week 13 against the Chargers. Gordon (suspension) has been reinstated by the league on a conditional basis, NFL.com reports. "Effective immediately, Gordon may join the Browns to attend meetings, engage in conditioning work and individual workouts," the league relayed Wednesday. 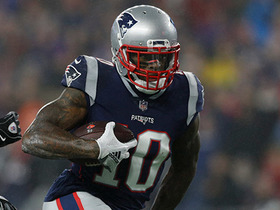 NFL Network Insider Ian Rapoport has the latest on New England Patriots wide receiver Josh Gordon. 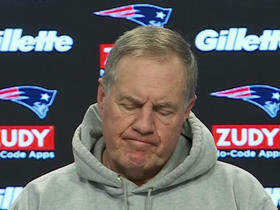 New England Patriots head coach Bill Belichick reacts to wide receiver Josh Gordon's suspension. 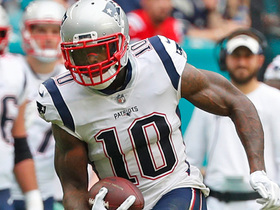 NFL Network's Mike Giardi breaks down how the New England Patriots' scheme could change after loss of wide receiver Josh Gordon. 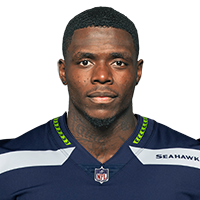 New England Patriots wide receiver Josh Gordon announces he will be 'stepping away' from the football field to focus on his mental health. 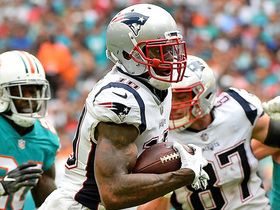 New England Patriots wide receiver Josh Gordon catches a pass from quarterback Tom Brady and weaves through the Dolphins defense for 21 yards. New England Patriots quarterback Tom Brady finds his wide receiver Josh Gordon for a 24-yard touchdown. 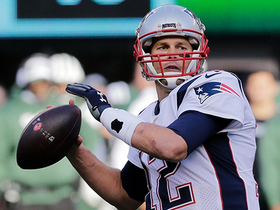 New England Patriots quarterback Tom Brady slings 23-yard dart to wide receiver Josh Gordon.